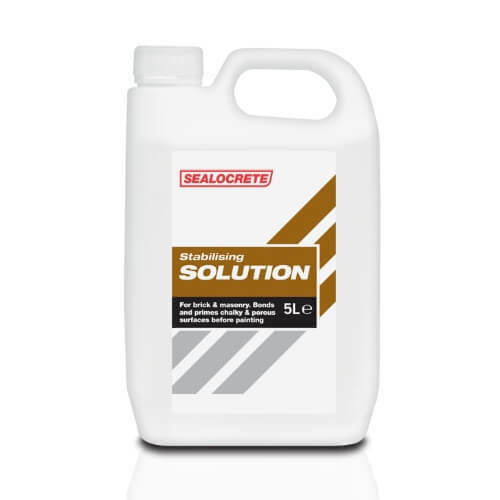 Sealocrete Stabilising Solution is a high performance acrylic based solution which is designed to penetrate deeply into old, chalky and porous masonry surfaces in order to stabilise them prior to painting. Once treated, the surface can be over-painted using conventional paints and varnishes. For internal and external use.